If you are in the process of replacing the old windows in your Toronto home, most likely you are familiar with some of the decisions and choices involved. One of these choices is which window material will give your home the performance and protection you are looking for. If you chose vinyl for your replacement window material, rest assured that you made the right choice. Vinyl has been proven to be an excellent alternative to other window materials. Vinyl is affordable, highly energy efficient, resistant to insects and weather, and is low maintenance. 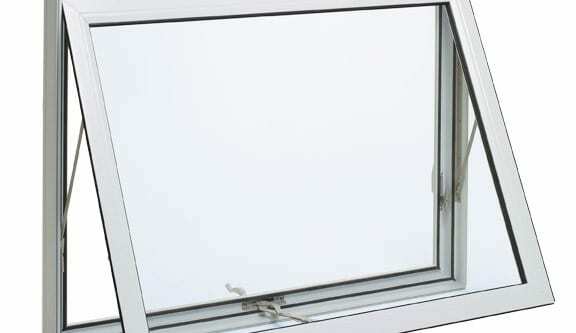 In addition, vinyl provides significant insulation and noise control, all very desirable features for windows. However, there is one very important thing you must remember about vinyl windows, and that is that they are not all created equal. Learning how to spot the differences between high grade and low grade vinyl windows will help you make the best choice for your Toronto home. There are two basic ways vinyl is made. The first method is known as virgin vinyl, which means that it is made from scratch. The second method is called re-ground (recycled.) Both of these methods are practically maintenance-free. What is more important than how the vinyl is made is the thickness of the vinyl. High quality vinyl will always have more thickness than low quality vinyl. The experts from Brock Doors and Windows recommend that when you are viewing samples, that you request to view cross-sections of the windows. This way you can compare and measure the thickness of the vinyl for yourself. Remember, that even though it may be a little more expensive, thicker and heavier vinyl will always serve you better over the long term. Brock’s second tip for comparing vinyl quality is looking at the corners. Quality vinyl should be fusion welded, which is where the corners are fused together, forming a tight and unbreakable seal. On the other hand, you can spot poor quality vinyl by corners which are merely screwed together. If you see vinyl that is fastened together like this, it almost guarantees that there will be leaks in your windows later on. This is why Brock Doors and Windows professionals advise that you always choose fusion-welded windows. Inspecting the labels on vinyl windows is an easy way to check and compare the quality. One good label to check is the NFRC (National Fenestration Ratings Council) label. The NFRC is a non-profit organization which provides highly accurate measurements and comparisons of a window’s energy performance. An NFRC label will contain 4 different categories. The first of these is called the U-value. This measures how well a window keeps heat from getting out. Lower U-values are always more desirable than high ones. The next reading to check is called the Solar Heat Gain Coefficient (SHGC). The SHGC shows a rating between 0 and 1, and it tells how good a window is at blocking solar rays. (Lower numbers are also better.) The VT or Visible Light Transmittance rating measures how much light penetrates a window or door. The higher the VT, the more light can come through. The last rating that you should notice is Condensation Resistance (CR): this rating measures how well a window can resist condensation on the inside of the window. The higher the number, the better. Now that you are more familiar with the differences between good and poor quality vinyl, your search for vinyl replacement windows in Toronto will be easier than ever. 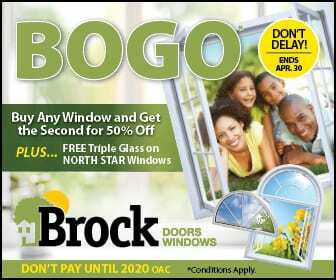 Remember, Brock Doors and Windows is here for you every step of the way on your project. Give us a call today!